It’s a typical tactic that politicians utilize when they want support for a proposal they’re pitching — hold a rally in a part of their constituency where they have strong backing from their base. But this isn’t always limited to those in elected office. Even though he says he hasn’t set his sights on the Oval Office, Mark Zuckerberg is no stranger at employing these same tactics. His keynote address at Facebook’s F8 developer conference this week was all the evidence you needed. We’re here to build things to bring people together and to put people in our relationships at the center of our experience with technology where they belong. Because for all the challenges that we face today, the vast majority of what happens on these services are people getting closer to the people they care about… and we can help people do this…the best part of what you do isn’t on Facebook, it’s the relationships you build and what you can go do together. That is what this is all about. If you believe, like I do, giving poeple a voice is important, that building relationships is important, that creating a sense of community is important, and doing the hard work of trying to bring the world closer together is important, then I say this…we will keep building. The last four words are telling: “We will keep building.” For months, Zuckerberg and his team have been responding to inquiries from not only from Congress but also the U.K. Parliament, and this is the first opportunity that Facebook has had to get its message out unedited or filtered by media or outside parties. Zuckerberg’s presentation was strong, one where he put on a facade that showed “we’re upset this happened and we’re taking steps to prevent this from happening” before jumping right into the main event: the announcements. 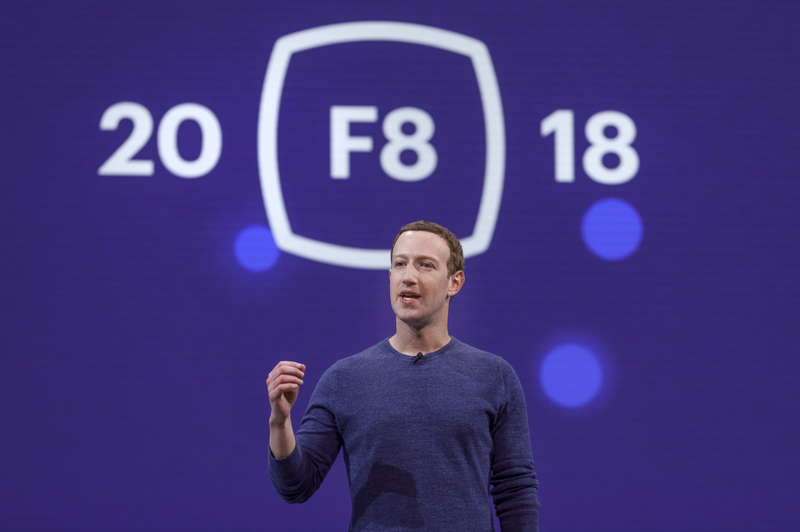 It was predicted that this year’s F8 conference would be more subdued following the Cambridge Analytica revelations and the keynote seemed to indicate that, but there were hints that it was also business as usual. If you took anything away from the conference, it’s that Facebook is working to shore up its defenses and make itself better, but nothing will stop it from moving forward to further encapsulate our lives. In short, the good of Facebook outweighs the bad. And amid concern over data privacy and how much information Facebook has over users, Zuckerberg’s first announcement was news that the social network would soon deploy a dating feature. Naturally, the company’s CEO quipped that it was built with privacy in mind, but the fact that its introduction so close to Cambridge Analytica could cause people to worry. What’s more, if you look at all the news that came from F8, it was all around how Facebook was using our data to improve the experience. It’s business as usual for the company and it’s not going to let a data privacy scandal compromise the way it operates. Zuckerberg’s keynote struck the right tone for the audience, although it’s possible that not everyone was convinced. He needed to convince the people in the room that Facebook was taking everyone’s concerns seriously, from how to protect users and keep the platform open, and he did that. His Obama-esque speech was meant to serve as a rallying cry to Zuckerberg’s base that Facebook will take care of them. And so Facebook may have smoothed over things for now, at least until the next scandal hits. But for now, it’s back to building.